It seems almost overnight peppermint is everywhere, and I LOVE it! From Candy Cane Joe Joe’s from Trader Joe’s, to my beloved Dryer’s Slow Churned Peppermint Ice cream, peppermint season is officially here. I adore the combo of chocolate and peppermint, and every year I look forward to making a big batch of peppermint bark and that AMAZING scent that is created the moment the peppermint and chocolate meet. Pure minty goodness. 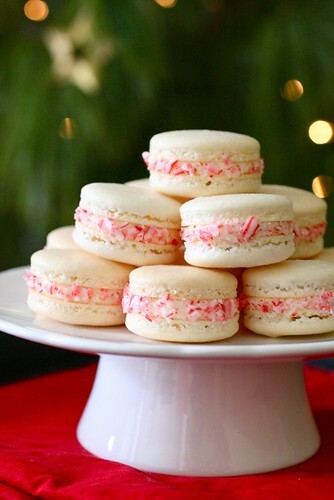 Candy Cane Macarons From What The Fruitcake?! Make Your Own Candy Cane Joe Joe’s From Cake Or Death? I can tell you love Peppermint/Candy Cane as much as I do. It’s my favorite and so is Christmas (: yay! 53 days! Oh wow, what an awesome line up!! I just got so many great recipe ideas from this list! 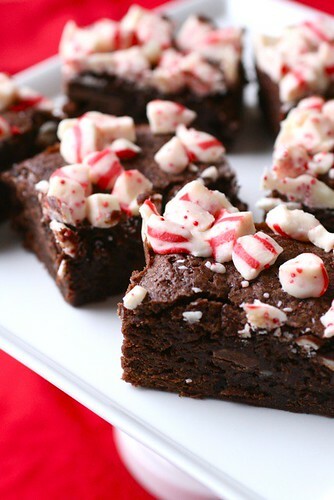 Of course, now I’m craving peppermint goodies! YUM!! Wow! 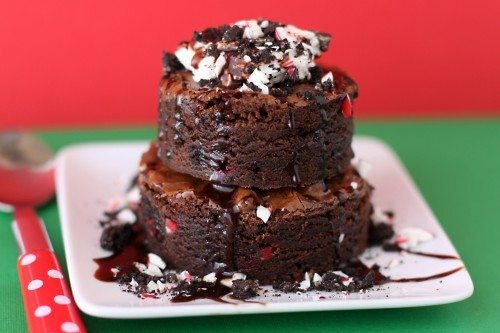 That’s an amazing round-up of Peppermint Recipes! I’m so honored to be included…thanks so much! I love peppermint anything, what a great list of ideas. I am SOOOO excited for Christmas Baking! LOVE this post!!!!! Thank you!! uuuhhh la la…what a beauty…I really admire ur skills..keep on rocking. Yummy! What a fabulous list!!!! Thank you so much for putting this together! Great round up! Definitely gets you in the mood for Christmas! WOW- this is an amazing compilation!!! Do you ever get overwhelmed because you just want everything that you saw and there are not enough hours in the day to possibly make all that!???? That just happened to me. Love all of these! Yay for peppermint! Thanks so much for including my cupcakes! And I see lots of other delicious treats I want to try now! Wow! Minty perfection. Loved this roundup. Thanks! SO many great ideas! I want to try each and every one of them. Thanks for the inspirations!